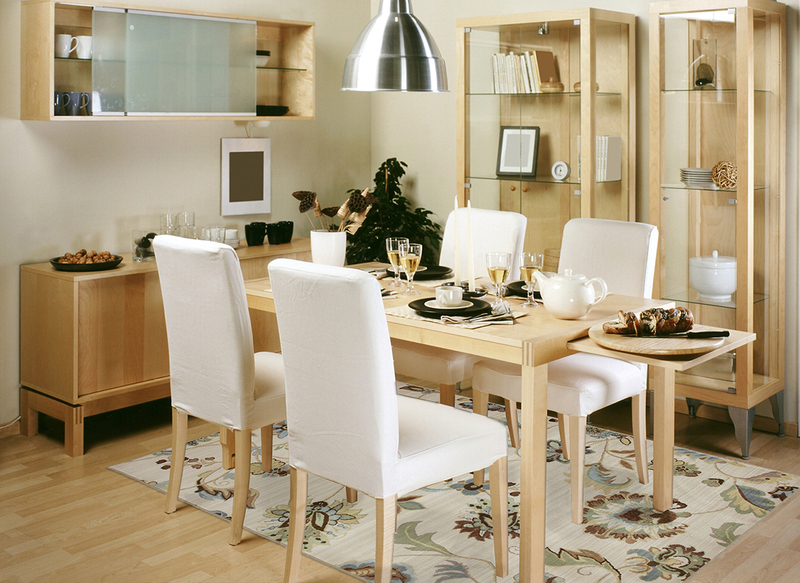 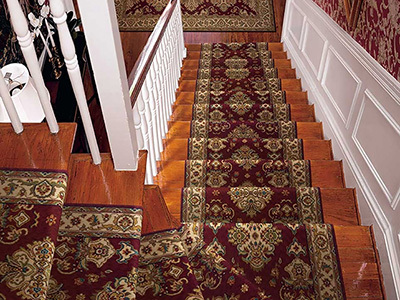 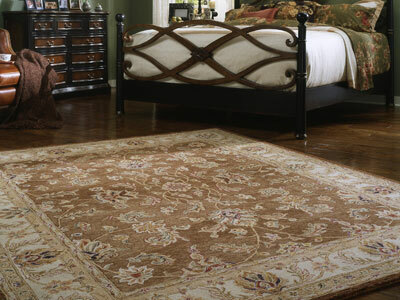 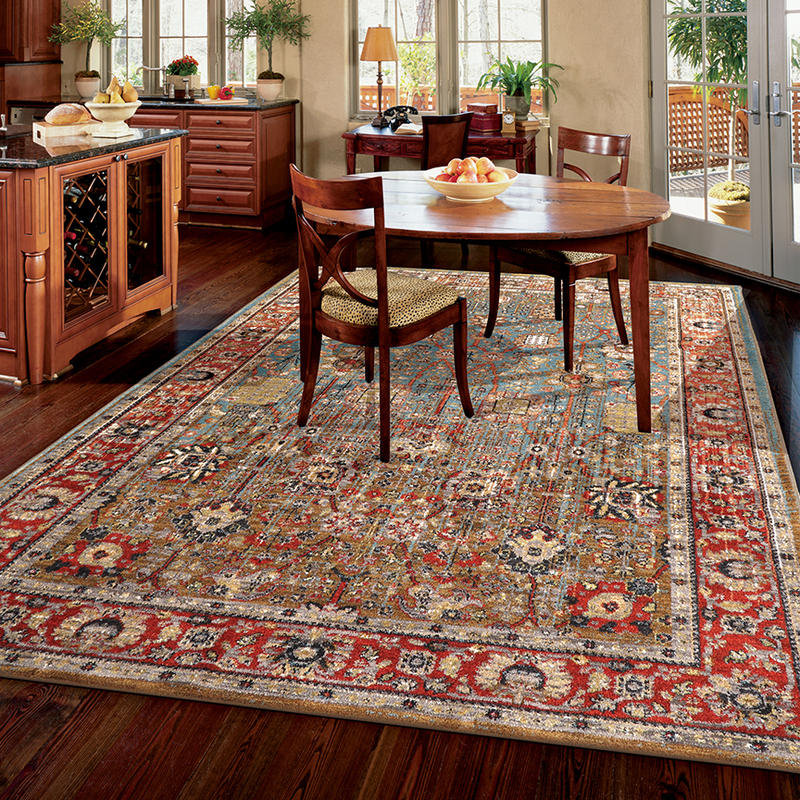 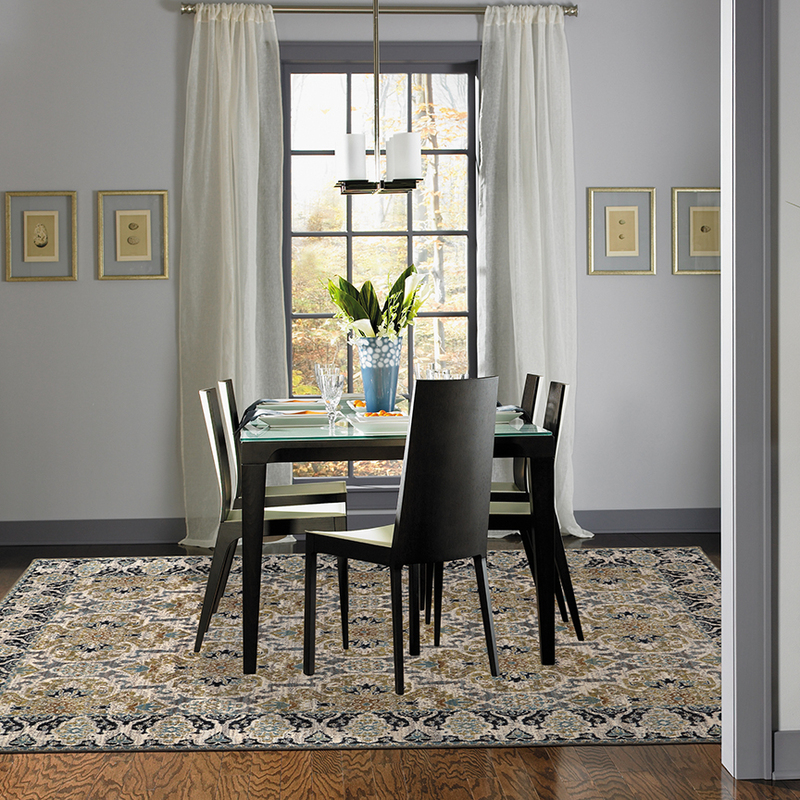 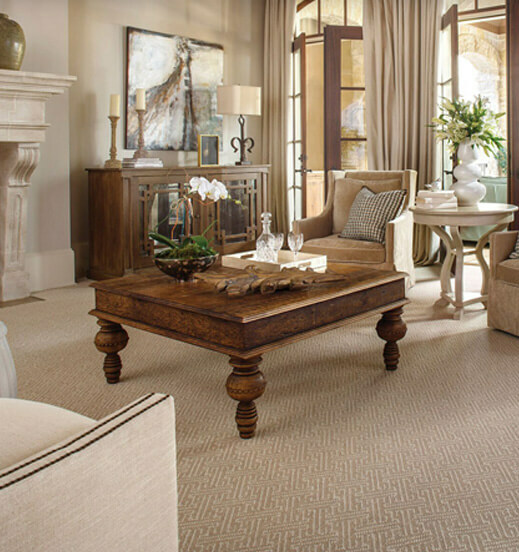 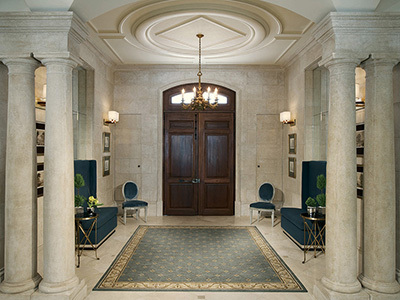 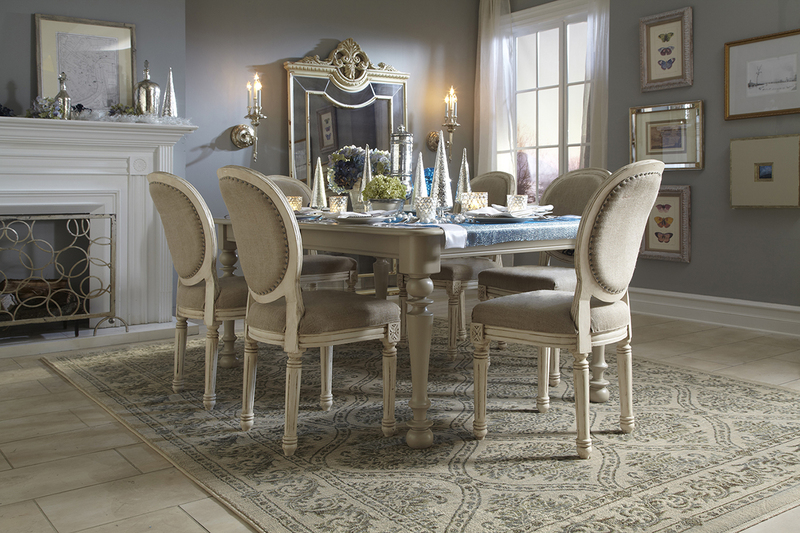 To figure size for a dining room rug, first pull out all chairs to conversation length. 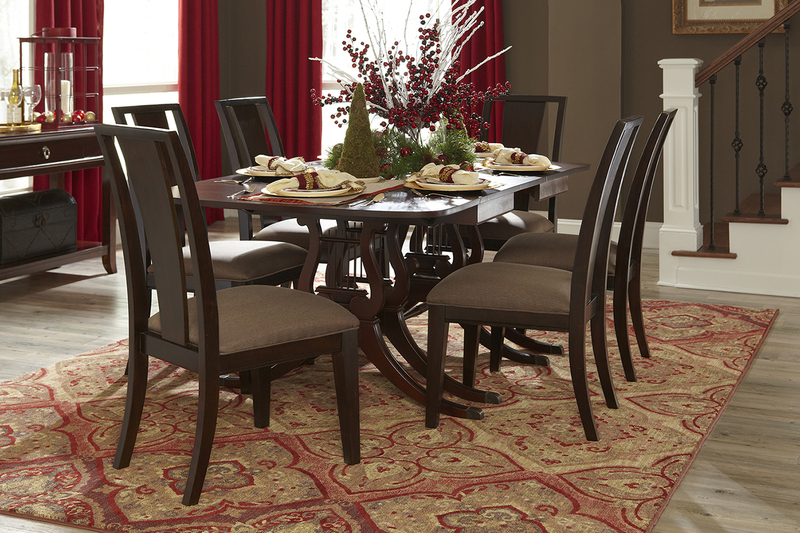 The recommended chair allowance is 30″ from the table’s edge. 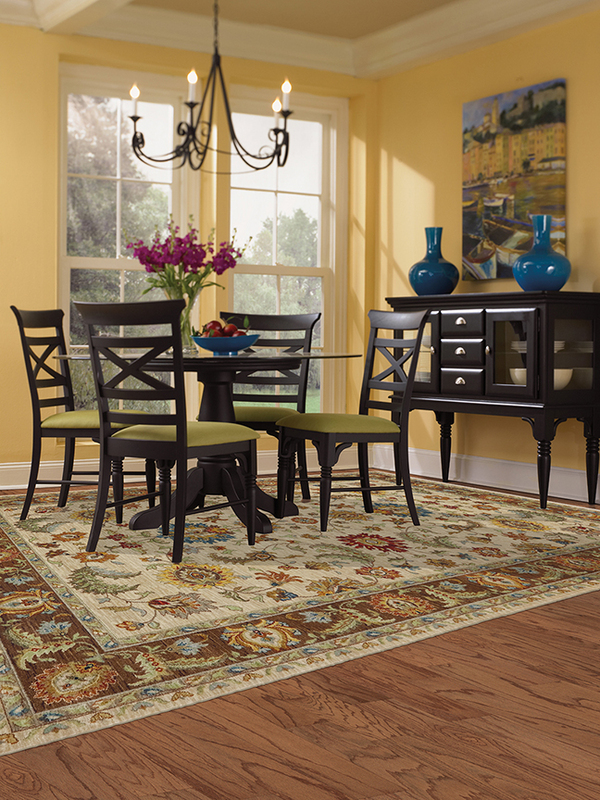 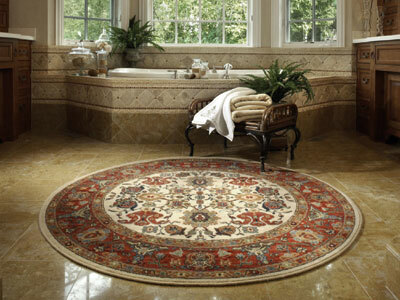 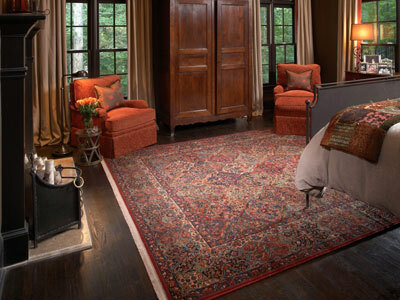 Rugs should extend beyond the chairs in the pulled-out position. 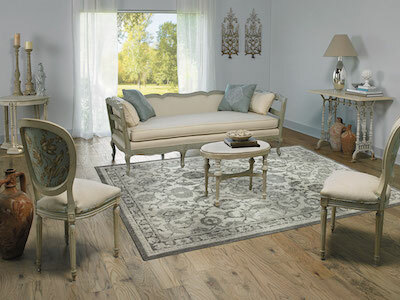 Note: our oversized square rugs fit up to a 54″ round table easily. 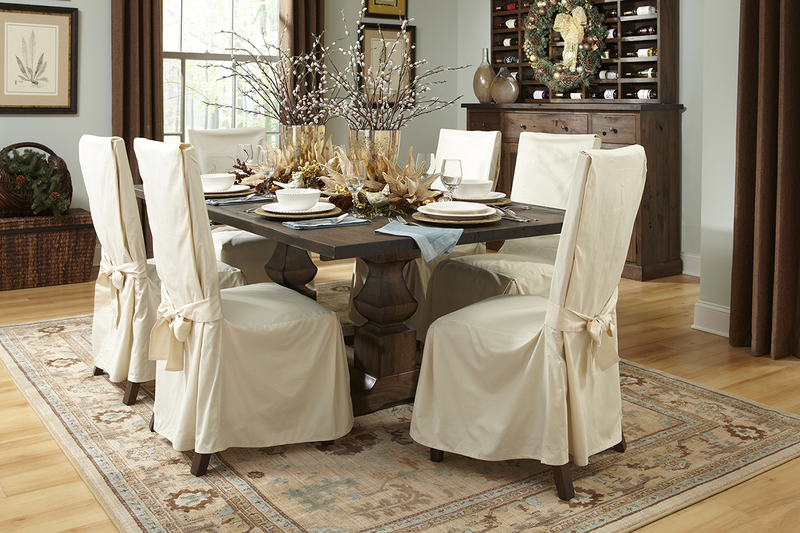 For large tables, ask about custom options.